Trader Joe's, Whole Foods, Olivers, Other? Which Store Tops Sono-Ma's List? Do you often wonder where to grocery shop? I have a long list of needs in a grocery store including a store that is close to home, has organic products, supports our local economy, offers good pricing, entertains my child long enough that I can escape without a meltdown or other embarrassing scene, and - ideally - a store that makes me feel like a valued customer. However, I often seem to find myself cringing at prices or complaining to my husband about customer service. Yet, due to a lack of time to research a better option, I end up returning to the same stores that fail me! For my own sake and yours I decided to put an end to this apathetic resignation of accepting sub-par shopping experiences by shopping around for a local grocery store that could best meet my needs. Such investigative work warranted a partner (think Holmes and Watson), so I enlisted the help of my friend Jennifer Frengel-Karres, mother of five-month old twins and an eighteen-month old daughter. 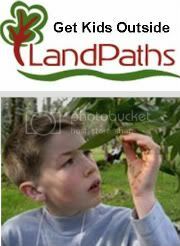 You may wonder how a mother of three under the age of two could take on such a project. Jenny's selfless act only speaks louder to the idea that mothers are gravely concerned about where to spend our hard earned dollars and how we feed our families. While walking the kids one day, Jenny and I discovered our joint discontent with this shopping conundrum . We were lamenting the way Trader Joe's produce, breads, and dairy products often expire quickly. Jenny shared that her family laughingly declare Trader Joe's products come "pre-molded." Then we mused about how Whole Foods products are much better, but who can regularly afford a store that many refer to as "Whole Paycheck?" I confessed that while these stereotypes are fun to laugh about, I still can't decide where to shop each week. Jenny revealed that she and her family were doing a receipt watching project to answer this question for themselves by comparing prices between Oliver's, Trader Joe's and Whole Foods . 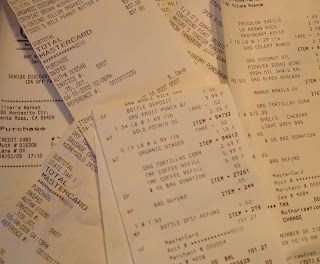 We vowed to save receipts for a few months and to work together to create a cost comparison. Ladies and gentleman I can now state for the record that Jenny and I can say without hesitation: it is one close call in the price department. These stores do not all sell the same products. The products that are similar are sold in bulk in some stores and in packages at others. Some products offer the added advantage of being local (keeping the carbon impact low by keeping smoggy diesel trips to a minimum). Shockingly, contrary to popular misnomers like "Whole Paycheck" (a.k.a. Whole Foods) or "All Of Your Paycheck" (a.k.a. Oliver's), there is not much of a price difference on the items that Jenny and I usually bring home to our kitchens. While you can review our chart to compare prices for yourself, much of what we discovered doesn't add up in number form. (Please note that we plan to continue updating this chart as we gather more receipts to improve the three way cost comparison. Help us out by sending your receipts to Sono-Ma.) Trader Joe's may seem cheaper as it offers many products under its own label, but what about the environmental cost of all the excess packaging? Trader Joe's does not offer bulk items. I enjoy doing my part to spare the landfill of more plastic by shopping for my rice, whole wheat, nuts, spices and other bulk items available through Oliver's and Whole Foods. There are other expense factors to consider when purchasing pre-packaged foods through TJ's. While you can buy red bell peppers at all three stores, Trader Joe's only sells this item in a multi-pack - eliminating your option of buying a single if that is all you need. Add to this the fact that in our experience the Trader Joe's peppers often quickly mold, and suddenly they don't sound cheap anymore. Well if there isn't a price difference, what is the determining factor of the store that we'd like to patronize?? 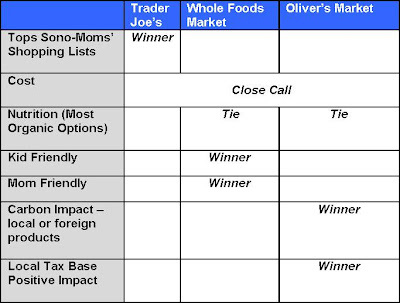 Interestingly, the 19 votes gathered through Sono-Ma shows Trader Joe's as the store that tops your list. So.... does this mean moms voting this way share my passion for TJ's cheap wine, inexpensive cheeses, and 73% dark chocolate? Or is there another reason for choosing Trader Joe's? Still, the second highest vote getter is a mysterious "Other." Who could this be? Are Sono-Ma's shopping at big chain stores like Safeway or are people frequenting other local stores like Andy's, Ray's, or Big John's? Please do leave a comment in case there is a store that Watson - Jenny - and I need to investigate! Oliver's Market : Their company slogan is "Real Food, Real People - Locally Owned and Operated." This grocery store focuses on selling items from local providers, offers a large bulk foods selection, and touts clean stores. Oliver's has recently expanded its store locations to include: Cotati, Santa Rosa - Montecito, and Santa Rosa - Stony Point. Oliver's has more square footage than either Trader Joe's or Whole Foods, consequently offering the widest range of products. Jenny and I like to frequent Oliver's where we feel our money is staying local and we can bring home products that haven't traveled beyond our county's borders. See more Oliver's reviews on Yelp.com. Whole Food's Market: The Whole Food's jingle is "selling the highest quality natural and organic products," and this store can boast that it offers the biggest organic and natural selection of any store in the county. However, as my Sono-Ma friend Annalyce LaSource pointed out to me, much of Whole Food's organic produce is shipped in Mexico. I started inspecting my Whole Food's organic fruit and did find that many have a "Grown in Mexico" label. Still, I find myself very happy with this store's bulk selection and high quality meats (they even sell salami without nitrates or other chemical additives!) I am also continually surprised to find that prices are much better than you'd think with a nickname like "Whole Paycheck." In fact, on another mom's tip I shopped at the Grocery Outlet for some organic shampoo and hand soap, but then found comparable items under the Whole Foods 365 brand for cheaper! My son also loves Whole Food's kid's program. We hit the kid's basket at the Customer Service desk for our free crackers or juice, and he becomes much more content to ride along in the shopping cart. He also loves to taste the multitude of samples Whole Foods seems to consistently put out for customers. Customers are a huge priority for Whole Foods. In one shining example of how far their team members go for customers, my husband swore the wrong price must have been entered for a quart jar he'd filled with yogurt covered raisins. How else to explain the price of $12 for the jar? The checker immediately offered to give us the jar for free if we believed the price was incorrect, but my husband ran to the bin to double check in an effort of fairness. To his embarrassment, my husband had made the error in calculating the expense of filling a whole quart jar and we took home $12 worth of yogurt raisins! Watch out for your hubby's sweet tooth near the bulk bins! Jenny and I both find ourselves returning most often to Whole Foods as it is close to both of our homes. I am also drawn to the shopping experience that includes super customer service, free tastings, and a small boutique-like feel. 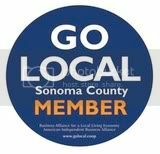 Find your Whole Food's store in Sebastopol, Sonoma, Santa Rosa, and Petaluma. See more Whole Foods Santa Rosa reviews on yelp. Trader Joe's - "Your Neighborhood Grocery Store" seems to be a Sono-Ma favorite! While I am not sure why other moms voted for this store, I know I appreciate its selection of convenience foods and indulgences. When we started to shop almost exclusively at Whole Foods, my husband and I both went through major Trader Joe's withdrawals. We made a pinky swear that if either of us ever found ourselves near a Trader Joe's, we were to buy a store of dark chocolate, orange sticks, and wine! While having their own label allows Trader Joe's to sell products at a slightly lower price than Oliver's or Whole Foods, the trade off of having to buy items that we believe perish quickly and can't be purchased in customer dictated amounts (it's three bell peppers or none!). Still, one of my favorite dinners is a Trader Joe's exclusive: a bag of frozen Gorgonzola gnocchi cooked up with prochuitto kisses and peas, paired with a loaf of focaccia, bag of spinach salad with Omega Trex Mix for topping, and a bottle of two buck Merlot. I am sure I'll find my way to Trader Joe's at least once in a while. My son also likes hunting for Joe the Monkey and getting stickers at the check out. Like Oliver's and Whole Foods, Trader Joe's also offers mini-shopping carts for kids and parents who can brave that craziness! (Think toddlers running through crowded store pushing carts at knee level!!!) Trader Joe's usually offers one sample to keep my son's mouth and hands busy. However, I wish lollipops and balloons were not so heavily pushed at the store. My son does not need the sugar for finding a monkey, and we'd rather not take home balloons that within hours go into a landfill. I asked once if stickers might be in the treasure chest so my son wouldn't have to get a lollipop, and was met with a confused stare. I've also tried to stop checkers, to their bewilderment, from offering balloons. Haven't they ever heard about the birds who die eating balloons believing they are worms? You can find Trader Joe's in Petaluma, Santa Rosa - Cleaveland Ave, and Santa Rosa - Santa Rosa Ave.
Let us know if you think differently in our comments section! Please feel free to update the cost chart with your receipts, send your receipts to me to update or to leave your commentary. Grocery shopping is something most of us do weekly AND comprises a large portion of a family's monthly budget. Share what you know about how to get the best products and value for your family!